Norway's capital is an intriguing blend of historic and contemporary – its striking new Opera House playing counterpoint to the charming old Damstredet, a narrow, well-preserved street of brightly painted and carved wooden houses. Norwegians are justly proud of their maritime heritage, dating back to the 9th century, when Viking long ships with distinctive curved bows left colonies in their wake across northern Europe, and later sailed on to Greenland and America almost 500 years before Columbus. Some of these intriguing craft can be found amidst the parks of the Bygdøy Peninsula, along with other historic vessels, including Amundsen’s polar ship Fram, and Heyerdahl’s raft, Kon Tiki. This beautiful and unique outdoor sculpture park is Gustav Vigeland's lifework, featuring more than 200 sculptures in bronze, granite, and iron. This fascinating museum tells the story of Alfred Nobel and the Peace Prize laureates, providing great insight into war, peace, and conflict resolution. Visit the impressive royal residence of Norway’s monarch. Watch the changing of the guard, walk the impressive grounds, and in the summer, go on a guided tour. Follow an expert guide through the streets of Norway’s capital for a glimpse at its rich history and evolution into an international city. Enjoy a fascinating stroll through Vigeland Park, the largest sculpture park in the world ever created by a single artist – the incomparable Gustav Vigeland. 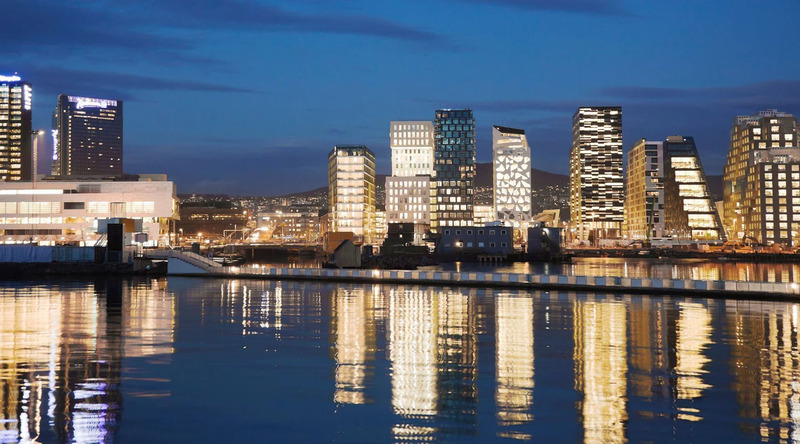 Discover Oslo on a carefree driving tour narrated by a local guide and historian who’ll provide insight into the city’s many landmarks and monuments.